Thread: New hi-resolution Zeppelin remasters sound great! I downloaded the 24-bit/96KHz remasters of the first 3 Zep albums today and am pleasantly surprised that they actually do sound better than my 1987-mastered CDs. Subtle details are easier to hear, the soundstage is deeper and wider, and both the top-end and bottom-end extend further. There's less tape hiss as well and, best of all, the dynamic range remains intact. I'd say these are better than the 2009 Beatles remasters, although The Beatles were for the most part better recorded in the first place. I haven't had much time to delve into the bonus material so can't speak to that just yet. Now I'm looking forward to the rest of the catalog reissues. I downloaded the 24-bit/96KHz remasters of the first 3 Zep albums today and am pleasantly surprised that they actually do sound better than my 1987-mastered CDs. I had original debut CDs and remaster CDs from Zepplin and remaster CDs was definitely a step up from original CDs except one album and that was 1975 double album Physical Graffiti. I am blow away by the remastered releases. Especially Zep II! I have always felt that II was the worst produced recordings. Muffled, bloaty, distorted. But, now finally it is open, clear and detailed. So happy! I'm not doing the computer music thing but a friend told me the same, the HD downloads were good. I did order LZ2 on CD and anxious to hear the difference. 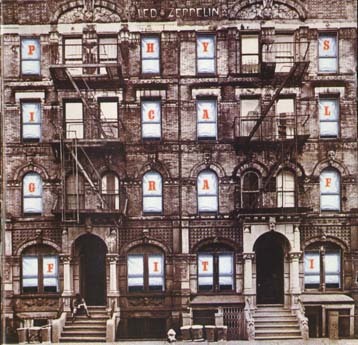 I don't know what was going on with Physical Graffiti the sound quality on that album is really bad. A remaster of that would be interesting, I wonder if the master tapes have much to work with. Got my LZ2 2014 disc in, I put it in first and sounded like the familiar album I've heard so many times, then I put my original in and it became obvious the 2014 version was a fairly significant improvement, vocals are more clear, John Paul Jones bass lines were really improved with clarity and strength, all the instruments seem to have more space, better detail. I would say the upgrade is worth the money. The bonus disc was a curiosity but nothing I heard would have me getting it out very much, at least on the LZ2. The 2014 version still has some hiss, I suppose it was in the recording master and maybe nothing could be done, still a big step forward in sound from the original. Last edited by Mr Peabody; 06-28-2014 at 03:27 PM. I need a new LZ2 and a new LZ4. Yeah I picked them up at the end of this last weekend and spent Monday evening listening to them and all I can say is it is about time that someone did a remaster of some great music that allows all the detail to come through and as much of the content as was originally recorded and the big thing( they did not squash the dynamics!!!!) like so many remasters seem to do now. I think Jimmy Page having been in charge of the remaster had a lot to do with the dynamics being left unaltered. Listened to IV and Houses of the Holy 24-bit/96KHz remasters today. What a vast improvement over the original 1987 CDs.